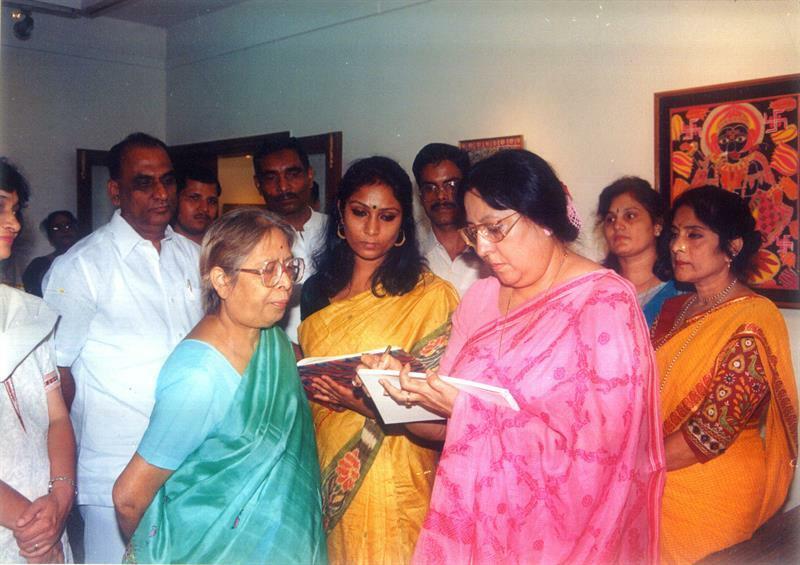 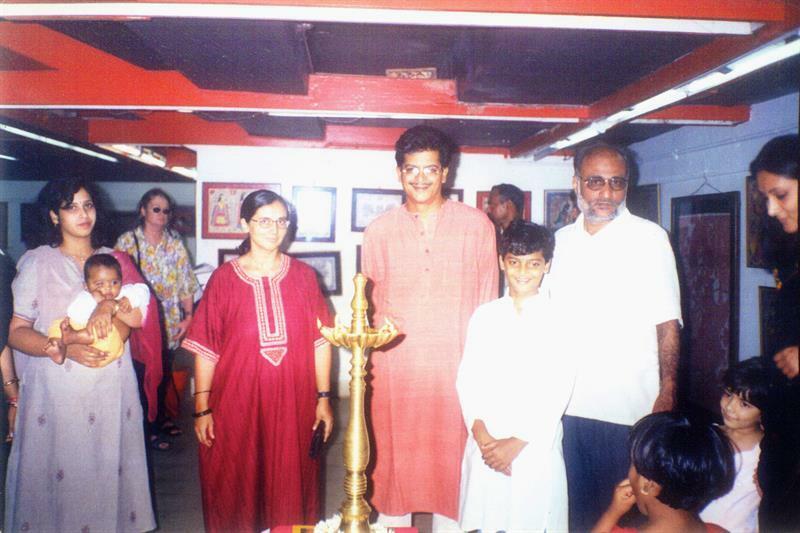 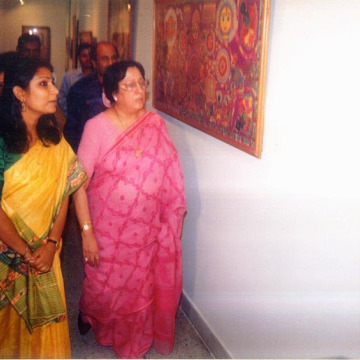 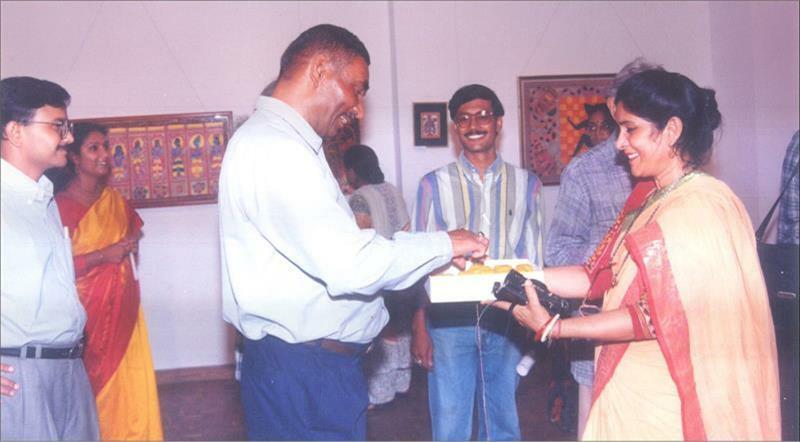 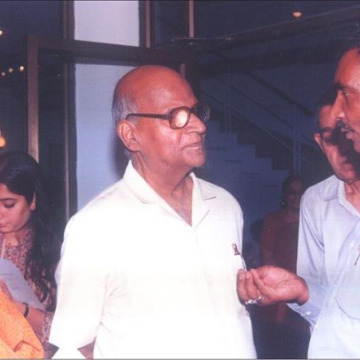 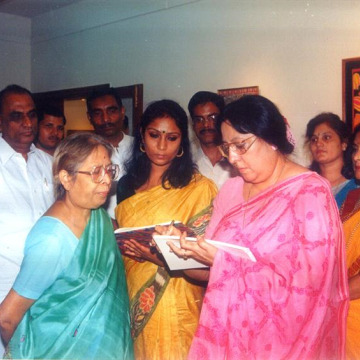 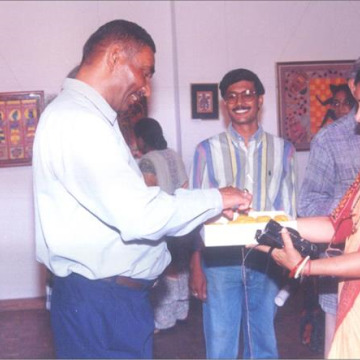 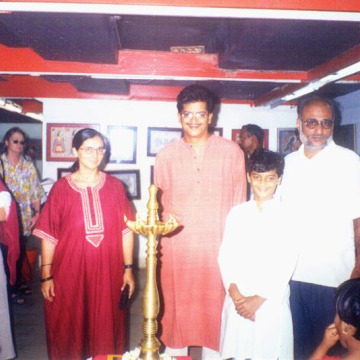 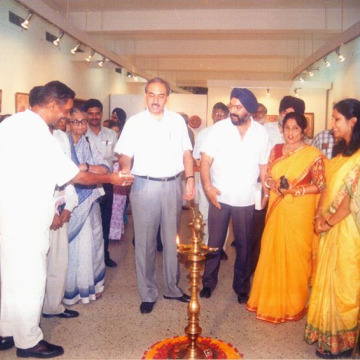 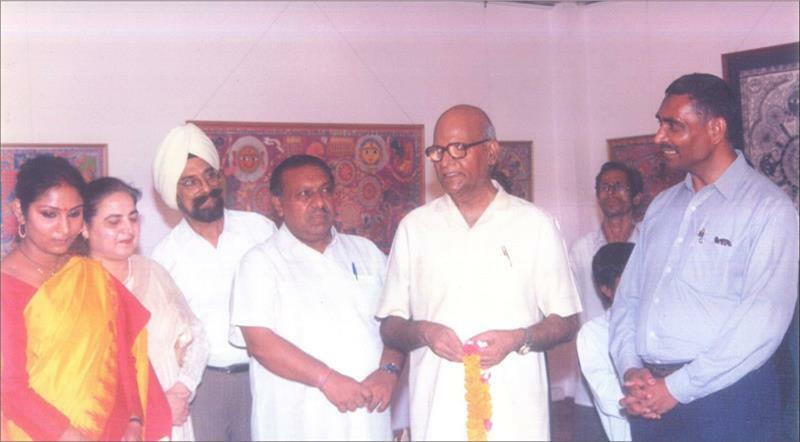 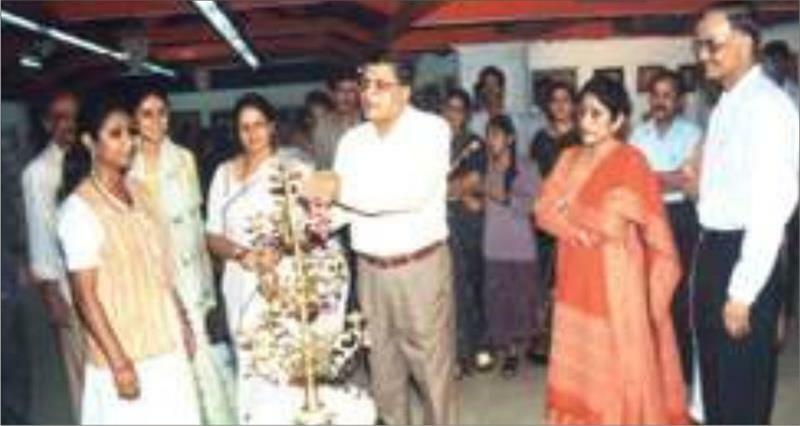 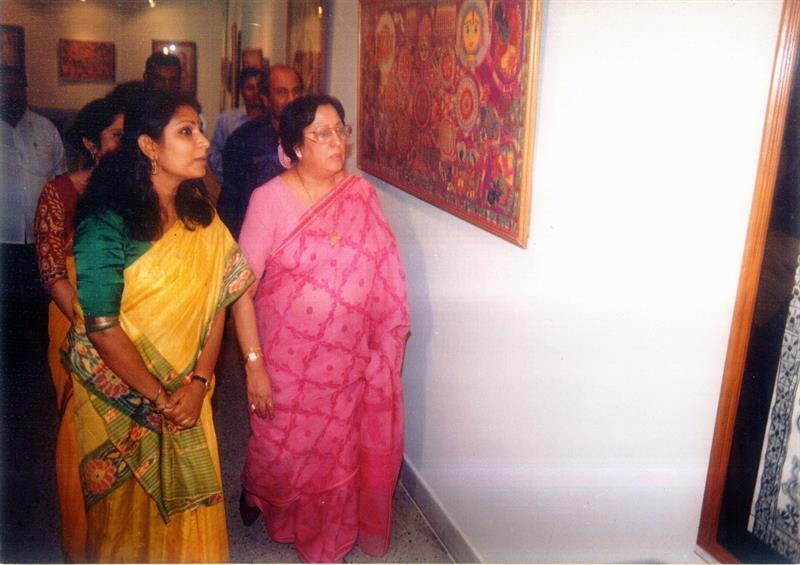 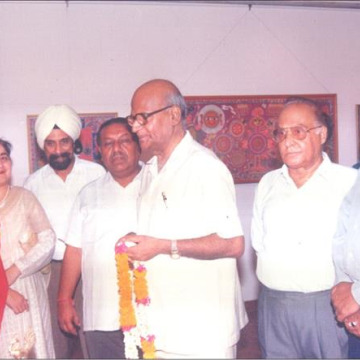 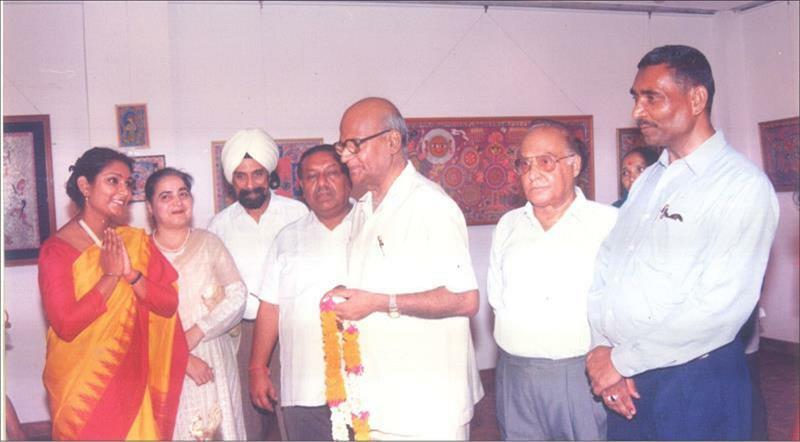 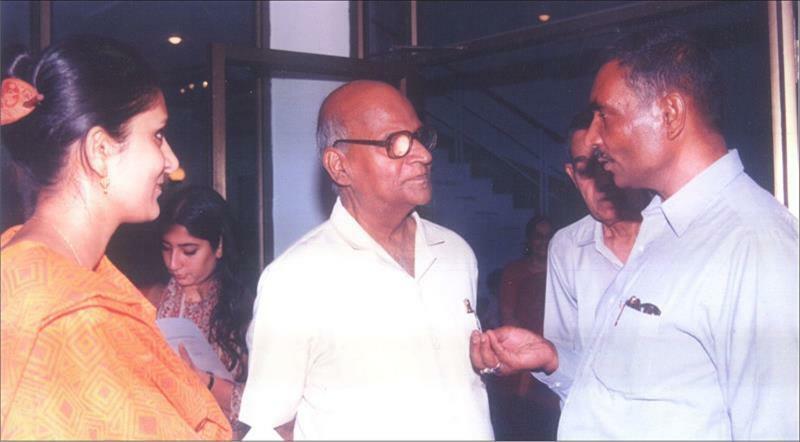 The first Exhibition was held at India International Centre from 16th May 1998 at New Delhi. 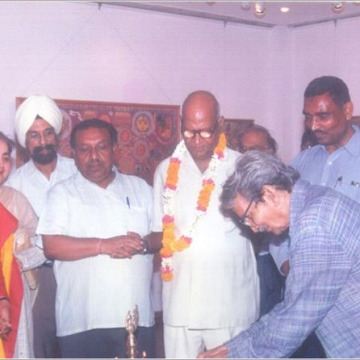 This exhibition was inaugurated by eminent artists and sculpter Shri Sankho Chaudhuri and Chief Editor of the statesman Shri S. Sahay. 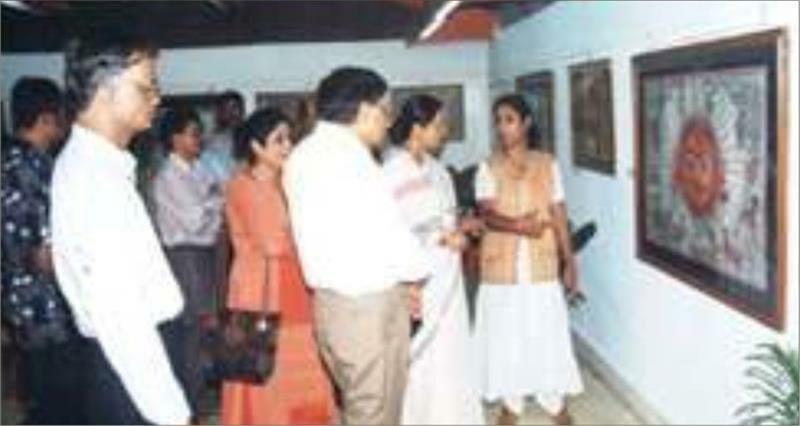 Total 55 paintings were exhibted. 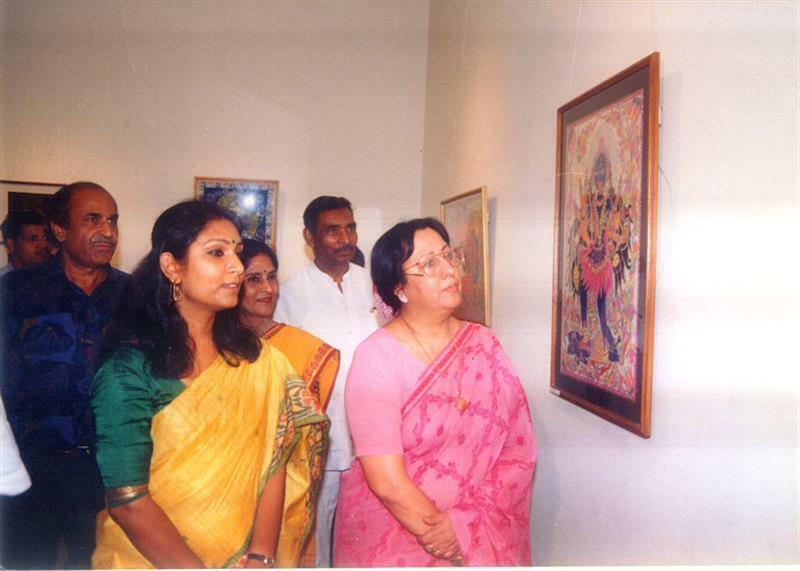 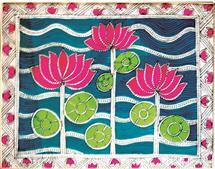 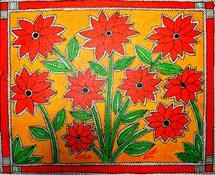 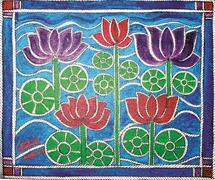 The theme of paintings were Kohbar, Nature, ecology, Vastu Shashtra, and issues related to Urbanisations. 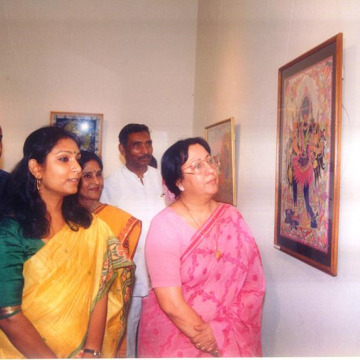 This was one of the first exhibitions of Mithila Paintings in an Art Gallery. 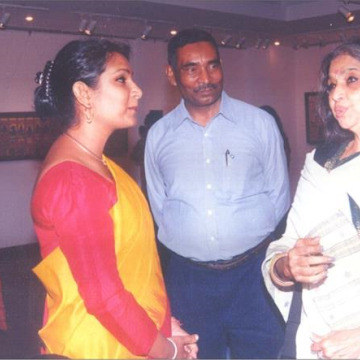 It was very interesting for the visitors to meet artists who was educated. 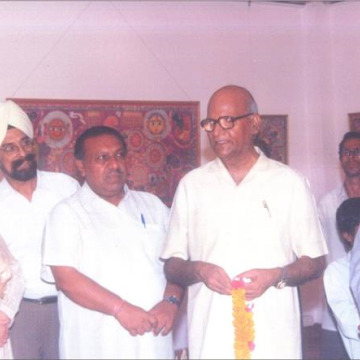 Some of the visitors were Dr. Karana Singh, Architect Joseph Ellens Stein, Smt. 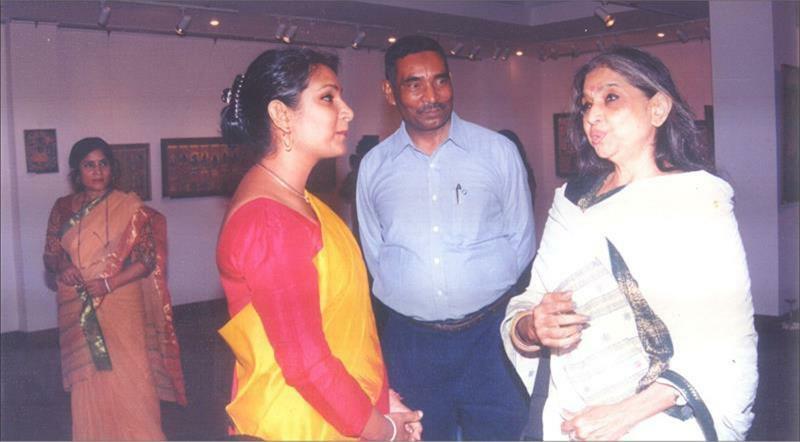 Tara Gandhi of Gandhi Ashram, New Delhi, several artists, collectors and teachers. 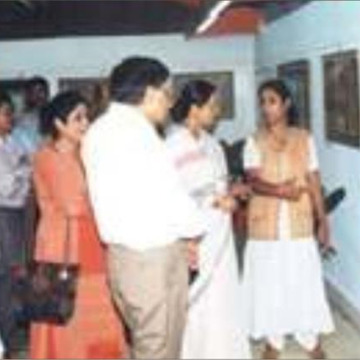 This exhibitions was very widely covered in News Papers and Television. 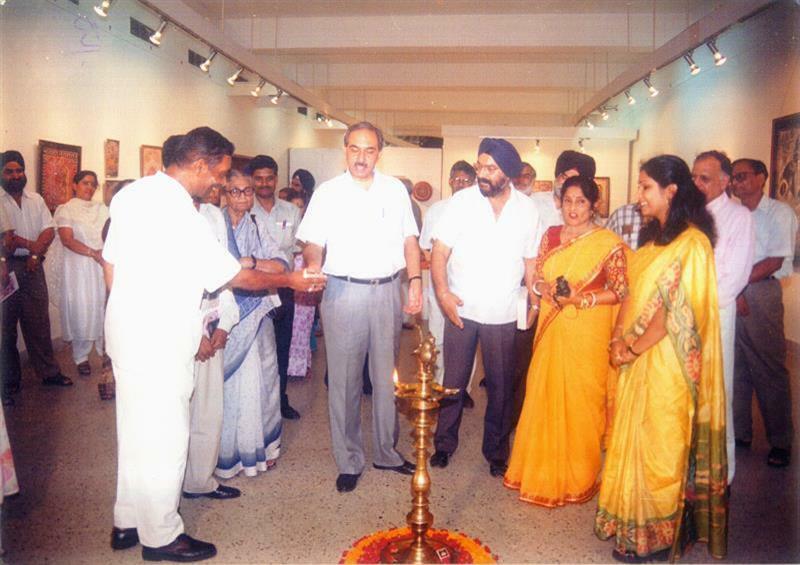 Our Second Exhibition was at Lalitkala Academy, Rabindra Bhawan, New Delhi. 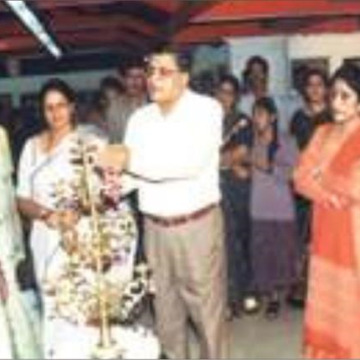 This show was inaugurated by then speaker Smt. 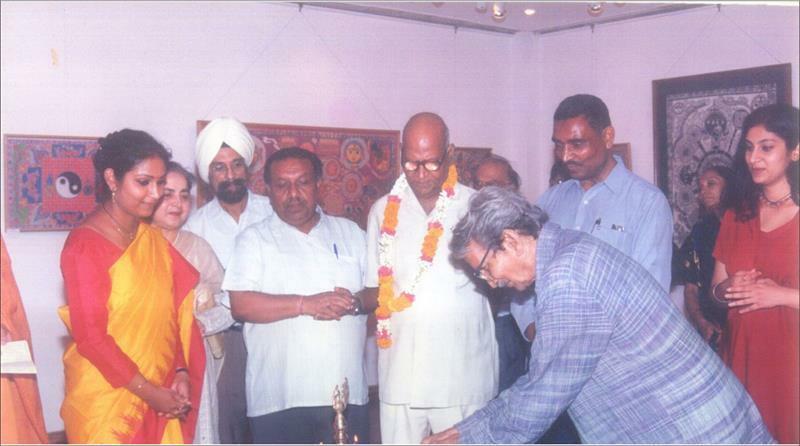 Najma Heptullah and by President and Members of Rotary Club of Okhla, New Delhi.